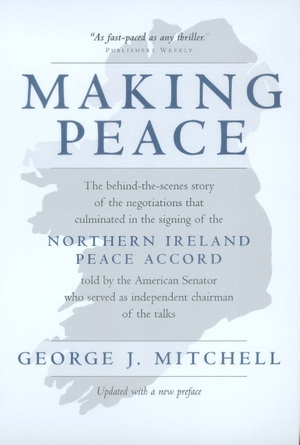 Fifteen minutes before five o'clock on Good Friday, 1998, Senator George Mitchell was informed that his long and difficult quest for an Irish peace effort had succeeded--the Protestants and Catholics of Northern Ireland, and the governments of the Republic of Northern Ireland and the United Kingdom, would sign the agreement. 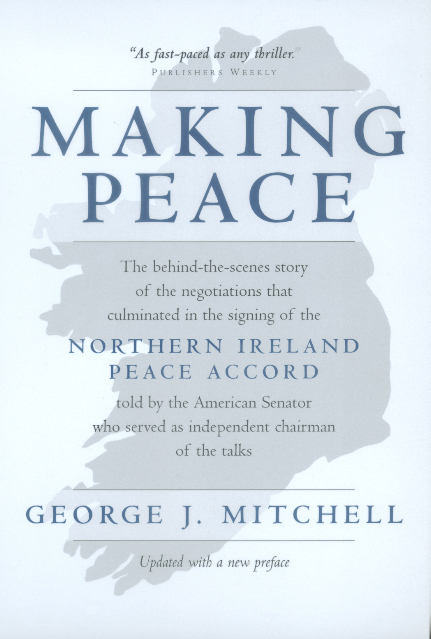 Now Mitchell, who served as independent chairman of the peace talks for the length of the process, tells us the inside story of the grueling road to this momentous accord and the subsequent developments that may threaten, or strengthen, the chance for a lasting peace in Northern Ireland. George Mitchell served as Senator from Maine from 1980 to 1995, the last six years as Majority Leader. Since leaving the Senate, in addition to chairing the Northern Ireland peace talks, he has served as Chairman of the International Crisis Group, a nonprofit organization dedicated to the prevention of crisis in international affairs, and as Chairman of the Ethics Committee of the U.S. Olympic Committee.